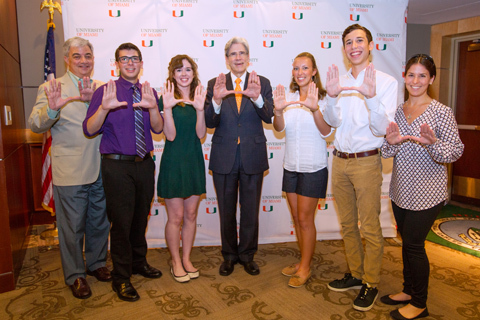 Stamps Scholars (Class of 2020) with UM President Julio Frenk and Senior Vice Provost William Green during New Student Orientation. 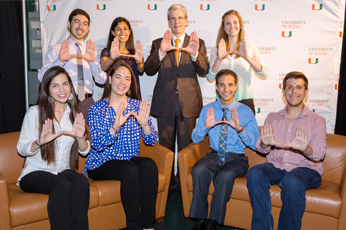 Stamps Scholars (Class of 2019) with UM President Julio Frenk at the Town Hall Meeting (September 2015). 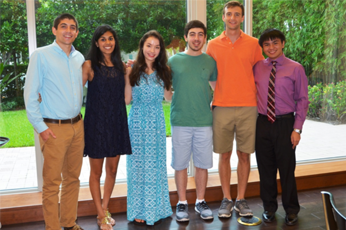 UM welcomes Stamps Scholars at Orientation (August 2015). Stamps Scholars attend the Stamps Scholars National Convention in Atlanta, Georgia (April 2015). 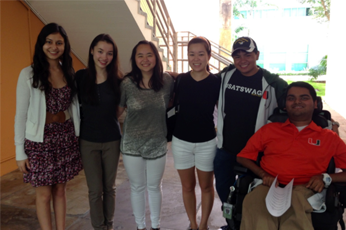 Stamps Scholars volunteer with Breakthrough Miami’s College Bound Program (October 2014). 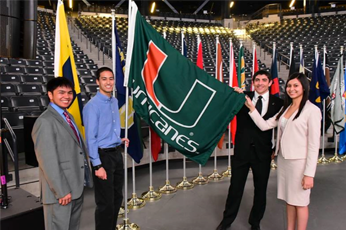 UM welcomes Stamps Scholars at Orientation (August 2014). 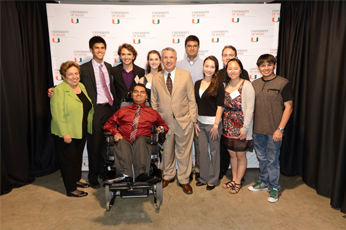 Stamps Scholars (Class of 2018) with UM President Donna Shalala and award-winning journalist Thomas Friedman at UM’s New Student Convocation (August 2014). 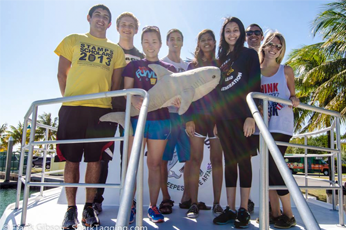 Stamps Scholars participate in a Citizen Science research trip with the RJ Dunlap Marine Conservation Program (April 2014). 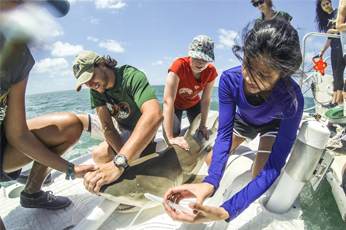 Stamps Scholars gather vital data for ongoing shark research in Biscayne Bay with the RJ Dunlap Marine Conservation Program (April 2014). 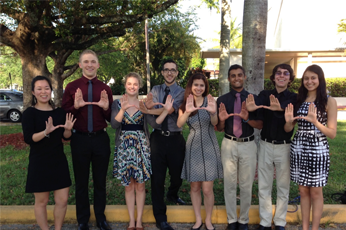 Stamps Scholars attend the World Premiere of Miami Grands, a 10-piano concert, at Barry University (April 2014). 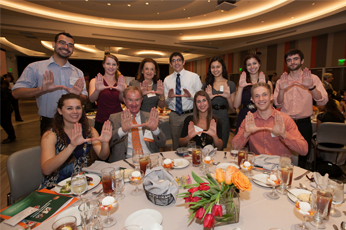 Stamps Scholars with Mr. and Mrs. E. Roe Stamps at the University of Miami Scholarship Donor Recognition Luncheon (February 2014). Stamps Scholars attend the Stamps Concert at the Frost School of Music (February 2014). 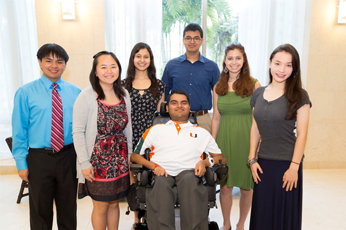 The Stamps Scholarship is UM's most prestigious merit award available to students at the University of Miami. This scholarship is awarded to exceptional and academically accomplished high school seniors. Additional benefits of the Stamps Scholarship include being part of the Stamps Scholars on-campus and national communities, funding to support academic and scientific research projects, cultural and leadership programs, study abroad, conventions and other regional conferences, and invitations to online events and networking opportunities. Early Decision I and Early Action applicants are automatically considered when they apply for early admission to UM by submitting all Freshman Admission Requirements or International Freshman Admission Requirements by November 1. Selected candidates for the Stamps Scholarship are invited to participate in the Scholarship Weekend at the University of Miami in the spring. During this two-day weekend program, candidates will meet with UM faculty and current scholars and learn more about our interest-driven education. After the weekend, a selection committee identifies finalists whom they recommend to receive the Stamps Scholarship based on the students' overall achievement and performance during the weekend. Finalists participate in an additional interview with the Stamps Family Charitable Foundation. A Stamps Scholar must complete a full-time undergraduate program of study with no fewer than 12 credit hours during each of the fall and spring semesters for a minimum of 24 credit hours per academic year. A minimum of a 3.0 GPA for the academic year must be maintained at the University of Miami, with the initial calculation at the end of the second semester of attendance. The award is subject to revision pending receipt of any grant, scholarship, or prepaid tuition and/or housing aid not anticipated at the time the award is made. Visit our Terms & Conditions page for more information.